The much awaited Pacquiao-Mosley fight is finally here and as always, everyone in the community would once and for all gather together just to witness this spectacular event. Aside from the fact that all his fights falls on Sundays wherein most of us are on our off days, his fight would always be the time in their year wherein even working people are going to stop their work just to watch the game. Pacquiao vs Mosley live stream is also being searched by a lot of people at this time to be able to watch it for free in the internet. He has been considered to be the most celebrated Filipino athlete in the country who always bring pride and honor every after his fight. Labeled as the "People's Champ" and the pound for pound for king, Manny Pacquiao has remained on his feet and stays humble in spite of all his achievements. He is the first boxer in history to win ten world titles, the first to win in eight weight divisions, and the first to win the lineal championship in four different weight classes. He is also serving his country as a congressman in the province of Saranggani and has been the face of a lot of products endorsements. In this fight, he will face another tough opponent who happens to be the former WBA Welterweight Super Champion "Sugar" Shane Mosley. He is older than Pacquiao but he is having an advantage in terms of height and reach. He also got a higher percentage of knockout wins compared to Pacquiao. The very reason why knockout has been expected in their fight since both of them got majority of their wins by way of knock out. Together let's support our very own Manny Pacquiao by watching his fight. Let us join our countrymen in cheering him up. Later I'll be watching it through a pay per view in one of the city's food establishments with my friends. 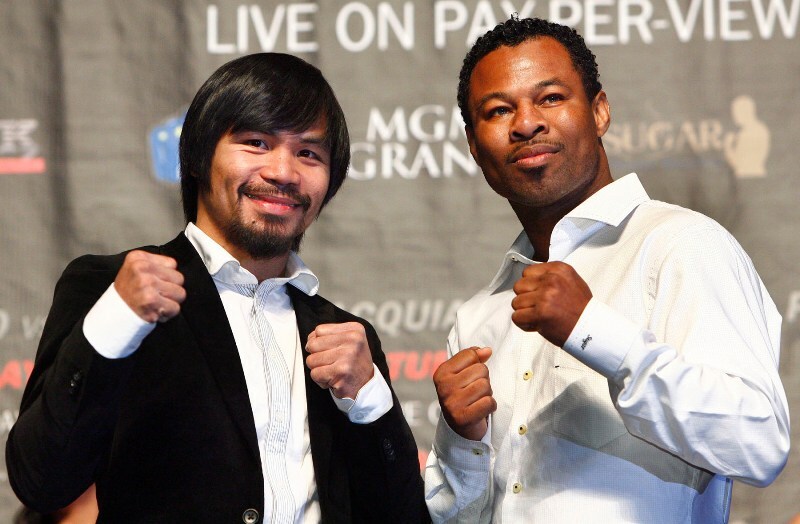 Good luck and God bless to Manny Pacquiao.